The type of folding machine we’re talking about is seen in thousands of small quick printing shops and digital printing departments around the world. It has two fold plates along with either a friction or air feeder. Some of the more popular ones include Baum 714, Morgana UFO, MB CAS, Challenge Medalist, Martin Yale and many more. 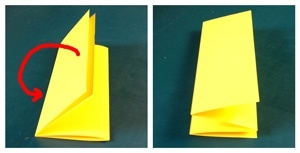 They handle the most common types of folds such as letter fold, accordion folds, double parallel, and single folds.